I got an interesting Christmas gift I thought I'd share. This little project popped up in the Facebook group a year or so ago. 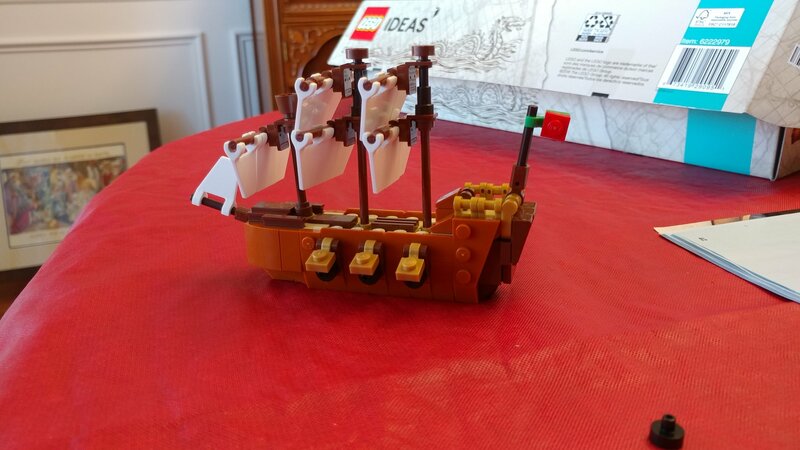 The original creator was looking for signatures on the Lego Ideas page to promote Lego making a ship in bottle set. 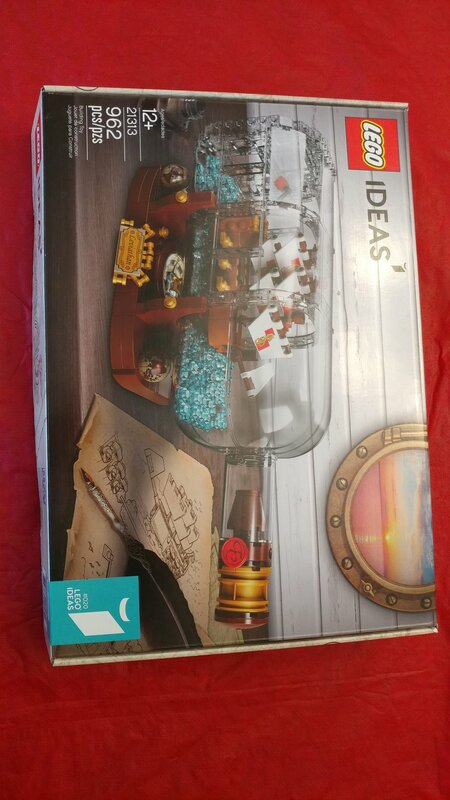 With the help of our Facebook group and a lot of other fans the project got it's 10,000 signatures and now Lego sells a ship in bottle set. 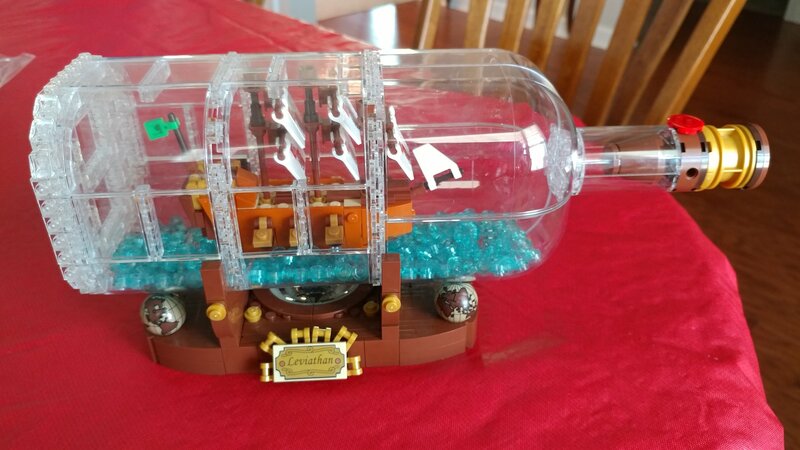 This a great tribute to Jake Sadovich who created the original and gathered the signatures but, its a great tribute to ship in bottle building itself. There's at least 10,000 people out there that appreciate our craft enough to sign a Lego project into existence. I think that's incredible. 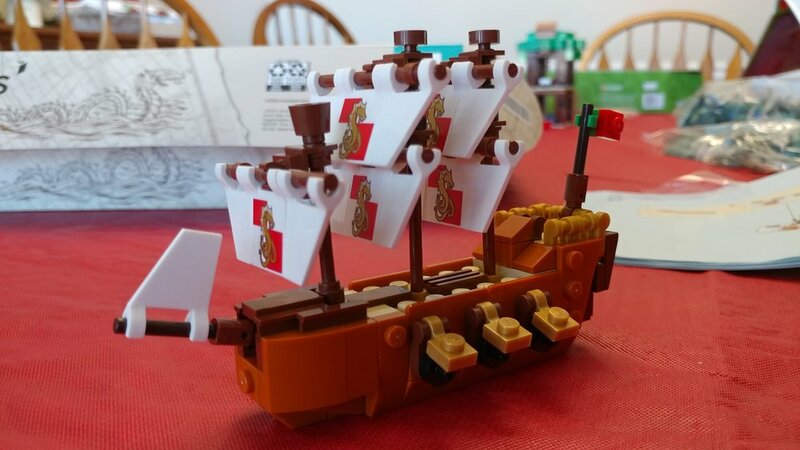 My wife bought me the set and I built it in just a couple hours. 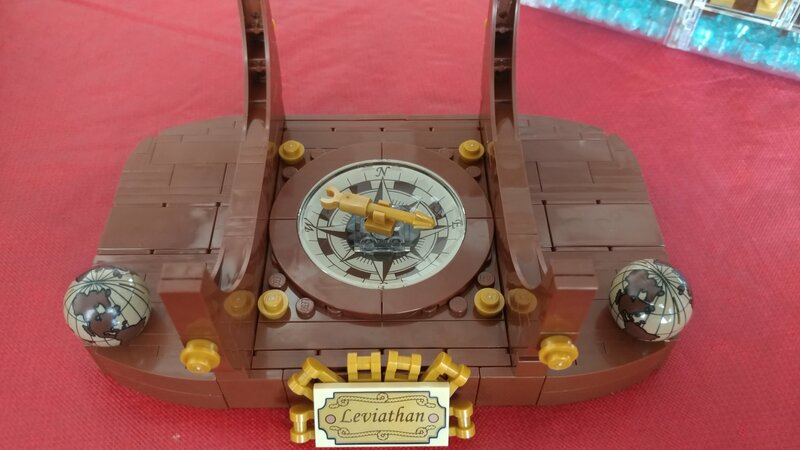 It's a fun build and the instructions ate very straight forward. Here's the box and what comes in it. 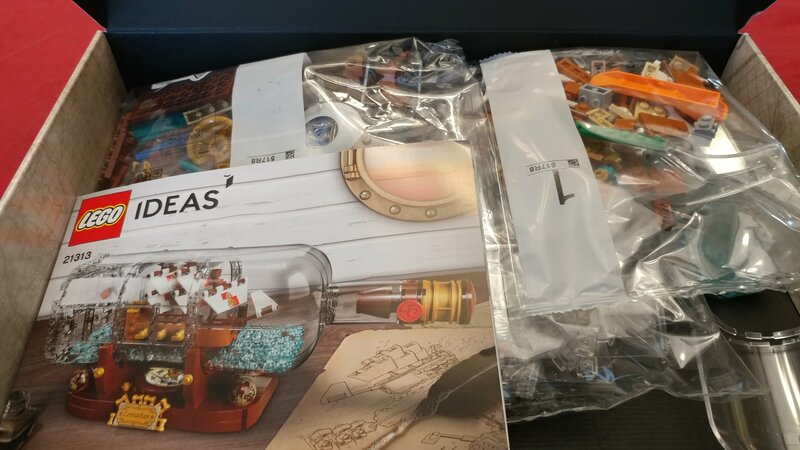 There's the booklet and four packages of Legos. I won't go into all the detail of building. The booklet is a great set of instructions. How ever I have a few photos of the process. Here's the ship. It is simple but looks good. I like the dragons on the sails. There's a few parts on Jake Sadovichs original build I would have liked to have seen. For instance a spanker or lateen sale on the mizzen mast. There's space for it but no parts. The masts could be taller to be proportional and the were on Jakes original build but it's not that big of a deal. 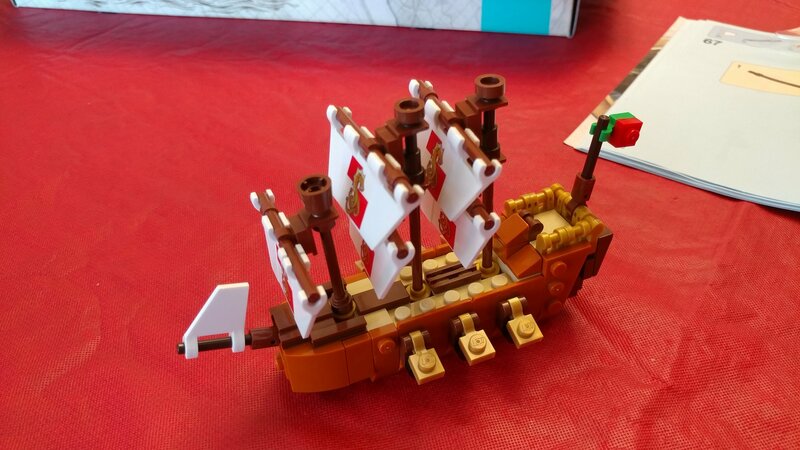 I do think the ship looks good and was an easy build. Have to admit building the bottle itself was intense. There's a lot of little clear pieces. I felt like I was piecing a shattered bottle back together. It takes time but looks really good when its done. I find the stand very impressive. I love the compass and the globes. I've always made stands that don't detract from the build which keeps them simple. This stand doesn't detract but the added elements add to the build. The whole thing looks classy. 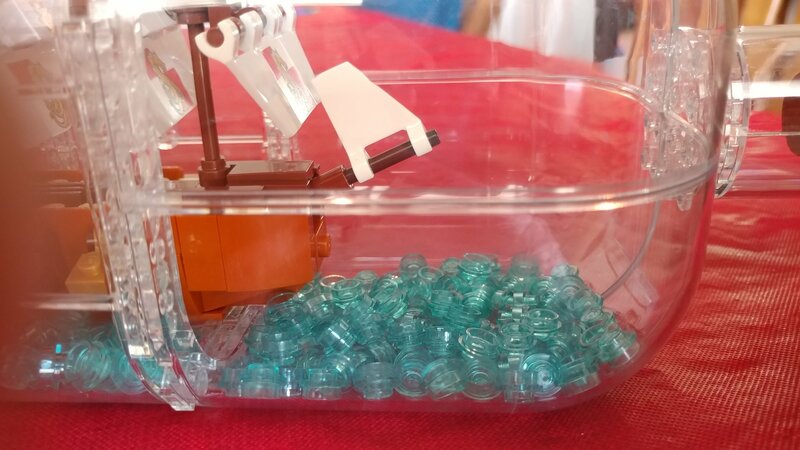 Even as a Lego build where the magic of putting the ship in the bottle is obvious it still has a wow factor. The other part that makes me think is the sea itself. The pieces are just poured in and sit loosely on the bottom. It's actually a clever idea and I can see trying something similar with beads or other small material. 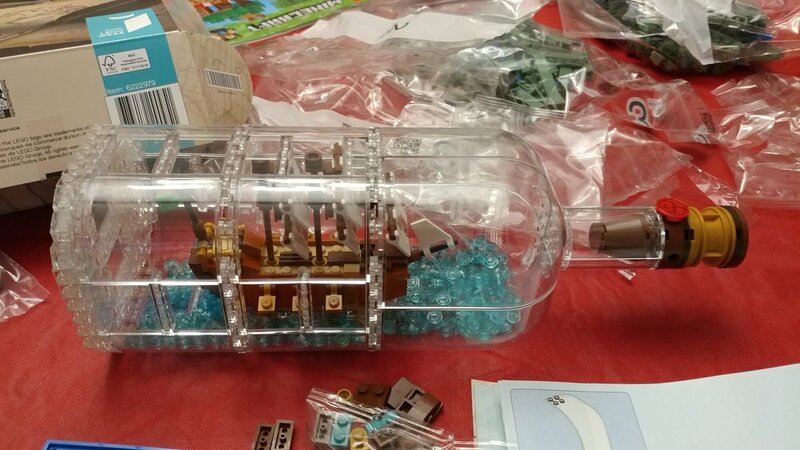 So there it is the Lego Ship in Bottle. A fun fast build with some class.